EL MONTE – Gidley School fifth-grader Julian Sauceda had two left feet and no confidence on the dance floor when he started the Conga Kids program – but now he tangos and foxtrots with passion and even persuaded his mother to enroll him in private dance lessons to continue his new interest. Conga Kids is a 10-week dance program that teaches students rhythm, self-confidence, trust and physical fitness. The program was created by Conga Kids, a nonprofit arts-in-education charitable foundation, to promote creativity, inter-personal communication skills and the culture of music in Los Angeles County. Conga Kids was first offered to El Monte City School District’s Shirpser, Potrero, Cortada and Wilkerson School in 2017-18. It expanding to include all 890 fifth-graders across the District’s 14 schools in 2018-19. Assistant Superintendent of Instruction Virginia Castro is in charge of the program at El Monte City School District. Practices are held twice weekly during P.E. classes. During these sessions, students learn the how to perform the merengue, swing, salsa, tango and foxtrot. 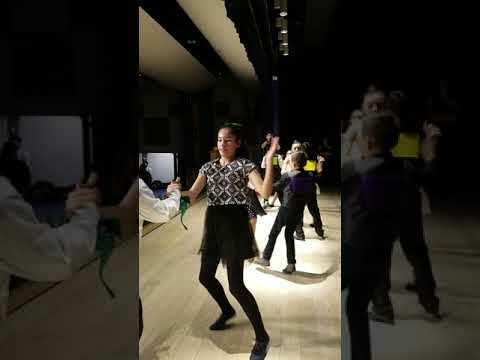 Ninety-eight students from Cherrylee, Cleminson, Columbia, Cortada, Durfee, Gidley and Le Gore schools were chosen to participate in a Conga Kids semi-final competition on Dec. 12 at Durfee School. 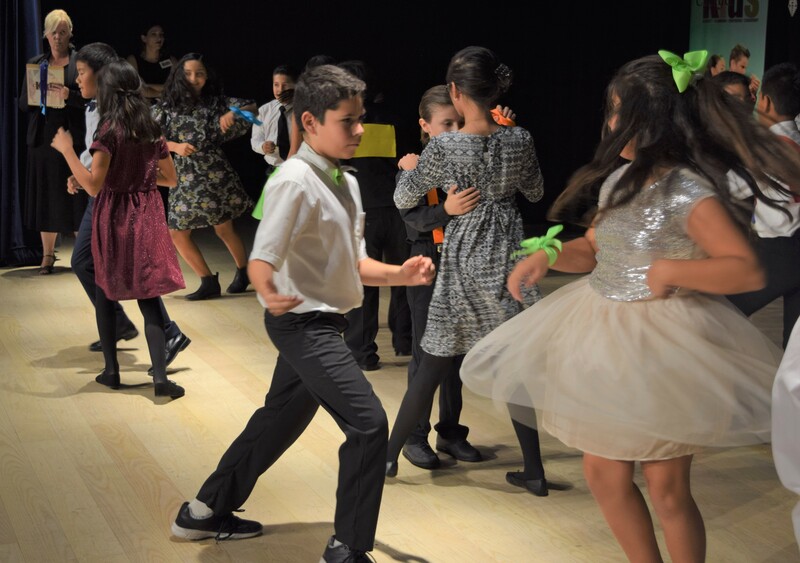 Students were scored on their ability to dance while maintaining posture, performing the correct steps for each song, keeping the beat and putting on a good show. Gidley School and its 14 students were named the winners of the semi-final, while Cleminson School won second place and Cherrylee School took third. The District’s next Conga Kids semi-final will be held in early May with students from New Lexington, Potrero, Rio Hondo, Rio Vista, Shirpser, Wilkerson and Wright School. Gidley School and the winning team from the May event will compete at the Conga Kids Spring Fling Final in late May 2019 at the Microsoft Square in Los Angeles. EMCSD_CONGA1: El Monte City School District students spin and shake while performing the salsa during the District’s Conga Kids semi-final dance competition on Dec. 12 at Durfee School. EMCSD_ CONGA2: Gidley School students pose with their first-place trophy after winning the El Monte City School District’s Conga Kids semi-final dance competition at Durfee School. The students will be one of two teams to represent the District during the Conga Kids Spring Fling Final in May 2019 at the Microsoft Square in Los Angeles. 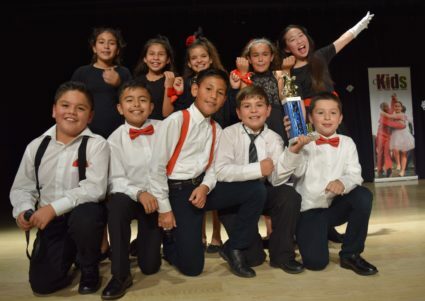 Gidley School students pose with their first-place trophy after winning the El Monte City School District’s Conga Kids semi-final dance competition at Durfee School. The students will be one of two teams to represent the District during the Conga Kids Spring Fling Final in May 2019 at the Microsoft Square in Los Angeles. El Monte City School District students spin and shake while performing the salsa during the District’s Conga Kids semi-final dance competition on Dec. 12 at Durfee School.